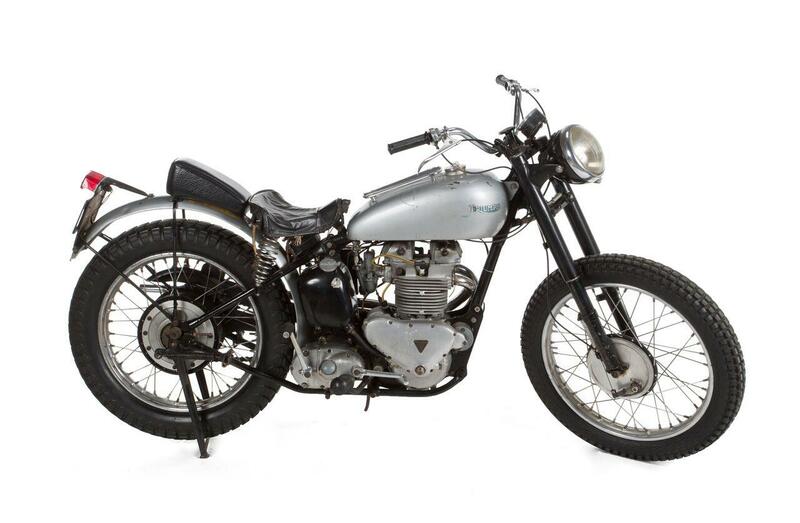 The 1949 Triumph Trophy TR500 used by Fonzie, played by actor Henry Winkler, in the hit American TV show Happy Days has been sold at auction. The bike appeared at Julien’s Auctions, Planet Hollywood, Los Angeles on Saturday, June 23 and fetched $179,200 (about £135,000). Winkler, who couldn’t actually ride a motorbike and for most of his scenes was simply sat stationary on the machine, used three Triumphs during filming as he reportedly found the first few too heavy. Appearing alongside Fonzie’s bike was a 1987 army green Harley Davidson FLSTC Heritage Softail Classic, with a colour matched half helmet and pair of leather gloves owned by Arnold Schwarzenegger, which sold for $38,400 (about £29,000).